Start your new year by learning a new skill. Gonna have one day book binding workshop for a start in my new studio for January. Anyone interested to join? 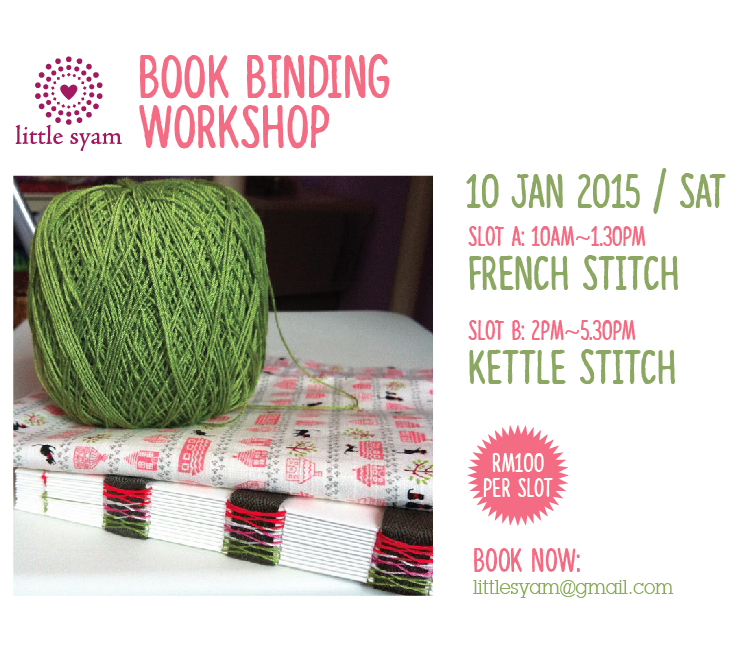 Each slot price RM100 which includes material kits, light refreshment & certificate. Tool are available for loan.